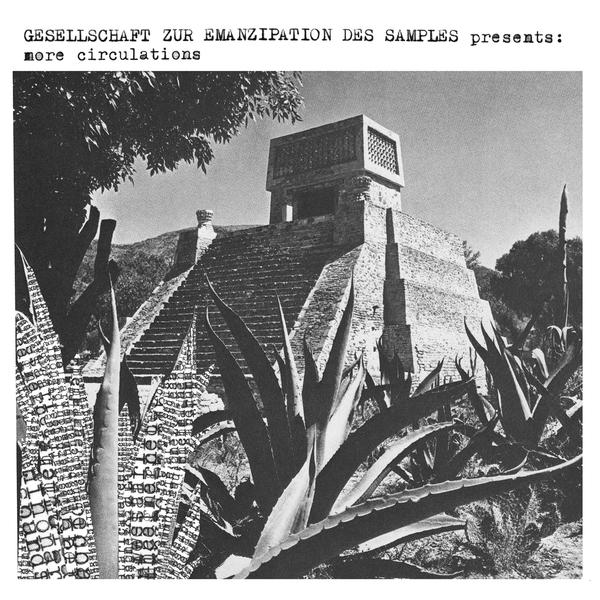 After a two year hiatus, Faitiche presents four new recordings from Jan Jelinek's Gesellschaft zur Emanzipation des Samples (G.E.S.). On More Circulations G.E.S. remain stylistically and conceptually committed to the first release Circulations, instigating the following recording situations: audio playback devices are placed in public spaces in order to play the desired sample material. The resulting recordings document collages from public spaces: a hotel lobby in Lanzerote, a registry office in Berlin, Copenhagen's Tivoli garden, a beach on the Portuguese coast, the old town of Geneva as well a Mercedes Benz on the way to Eindhoven. An album is in the making – this time with a special guest: G.E.S. member Helmut Schmidt will be sampling his way through the bourgeois canon of values.